Spring is around the corner and The Hat House is getting a new selection of trilby Fedoras. We have a great selection of Fedoras in all sizes and many colors. 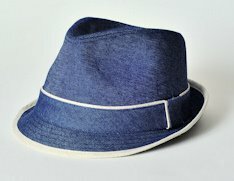 We have Wool Fedoras, Denim Fedoras, Linen Fedoras and Straw Fedoras.